You are here: Home › Limited Release › Possible first look at the 2017 Sorcerer Mickey band design? Possible first look at the 2017 Sorcerer Mickey band design? 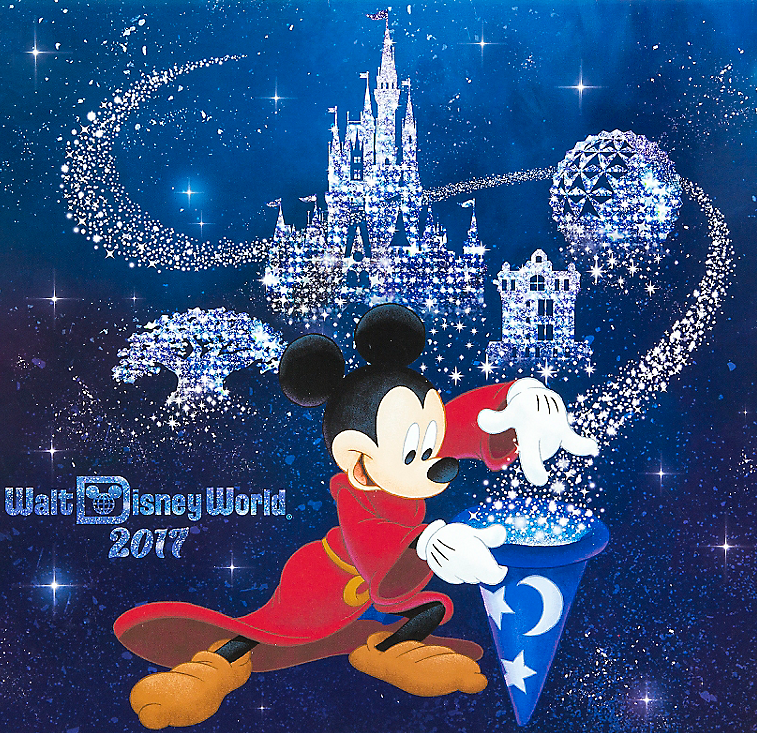 An image was posted online today that shows what the new 2017 Walt Disney World logo and design may look like for the year (Disney comes out with various designs yearly, so this may be just one of them). If the past is any indicator, this could be the design used on the 2017 Limited Release Sorcerer Mickey MagicBand that may eventually come out around the end of December 2016. There have been releases for both 2015 and 2016 in the past that also matched the graphics of other merchandise. Take this as just a rumor, but it’s a possible first look at what we could expect. We’ll know more around late fall. 4 Responses to "Possible first look at the 2017 Sorcerer Mickey band design?" I’ve been underwhelmed by the previous annual designs, but this one is beautiful! I hope it works out. I was told that they are testing a different “magicband” for the future. Where did you hear that they are testing a “different” MagicBand?